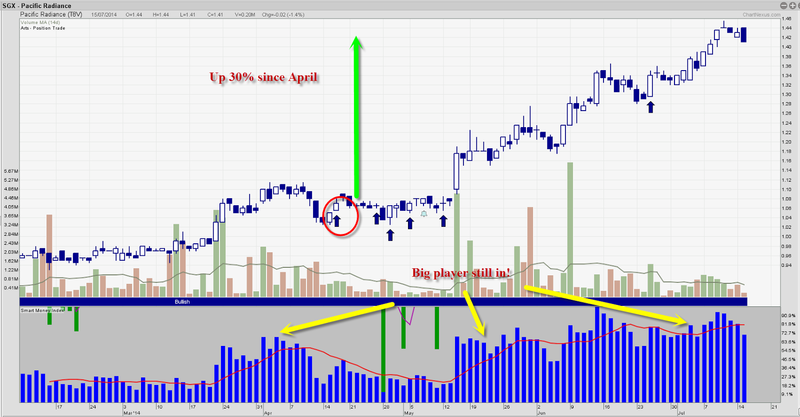 Since April we have been covering this stock Pacific Radiance, this stock is has one of the smoothest uptrend in Singapore market. I came across many traders that trade in and out everyday, what I realised those traders that hold on to winners and cut out losers fast are the more profitable traders. This is why we are trading this way, always post stocks that is uptrending. Ride the trend to the end. You dont have to trade everyday, just need to ride a few good trend to the end every year. Our system will let us know when to exit with a Red candle and Arrow indication.